Spider veins and varicose veins can be hurtful both physically and to the spirit. These conditions are painful and limiting, but with laser light and other methods they can be safely treated so you no longer have to hide your legs. Spider veins, also known as roadmap veins, are very tiny superficial blood vessels that increase in size over time and commonly occur on the legs. Sclerotherapy is considered the gold standard in treating people with spider veins. Varicose veins are larger, dilated blood vessels that can be raised above the skin’s surface and have a rope-like appearance. Laser therapy is a highly effective treatment for varicose veins, in which tiny laser fibers are applied to the vein through a needle puncture. 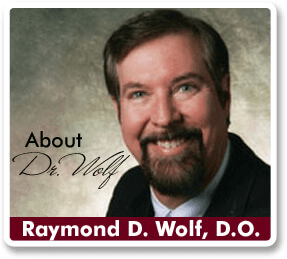 At Dr Wolf’s Rejuvenation Center we specialize in vein treatment for spider vein removal and varicose vein removal with advanced procedures designed to maximize results while minimizing pain and downtime. Sclerotherapy is the preferred procedure used to for spider vein removal. This procedure involves the surgeon injecting a solution into the vein that irritates the lining resulting in swelling of the vessel and sticking together. The vessel of the afflicted vein becomes scar tissue that in time will no longer be visible. For these reasons this procedure is viewed as cosmetic from the perspective of an insurance company. The number one cause for varicose veins is superficial venous reflux disease which is caused by “leaky” valves in the vessel. Veins have one way valves which direct blood flow back to heart. When they are functioning properly the blood flows in the direction toward the heart however when the valves are leaky they flow toward the feet. A venous ultrasound evaluation can determine if you are suffering from venous reflux disease, which are visibly larger than spider veins and can be seen raised above the skin’s surface. For this reason, varicose veins can be considered both a cosmetic and medical condition. Hormonal changes that may occur during pregnancy, puberty, and menopause. Women who use birth control pills may develop these conditions. People with a long history of blood clots. The American Society of Plastic Surgeons (ASPS) estimates that 50% of women over 21 in the United States have spider veins. Women are more likely to develop spider veins and varicose veins than men, however it is more likely to increase between both men and women with age. Among middle-aged and elderly people in San Diego, California, the results of a survey concluded that 80% of the women and 50% of the men had spider veins. Men are less likely to seek treatment for spider veins for cosmetic reasons, however, because the discoloration caused by spider veins is often covered by leg hair.